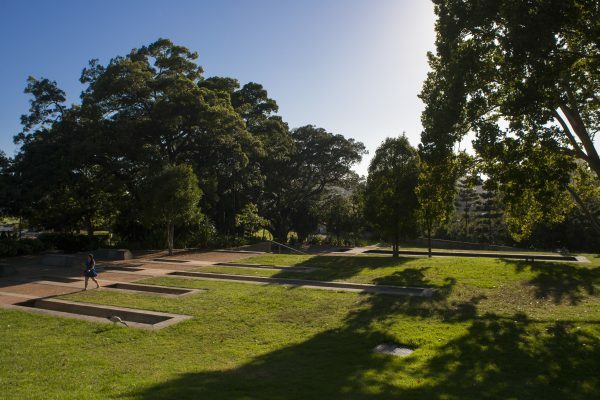 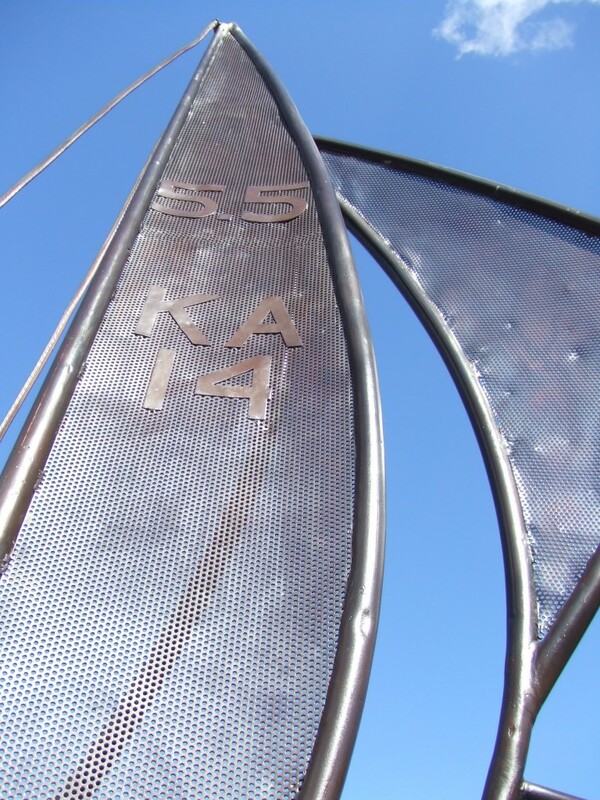 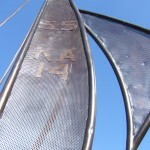 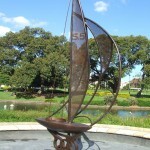 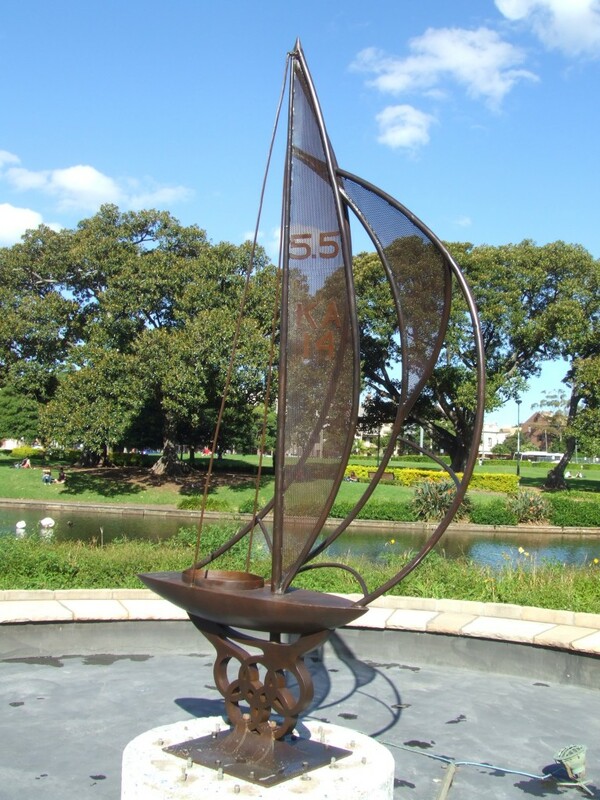 The Barrenjoey Memorial Fountain honours the crew of the yacht ‘Barrenjoey’, winners of the 5.5 metre yachting event at the 1964 Olympic Games held in Tokyo, Japan. 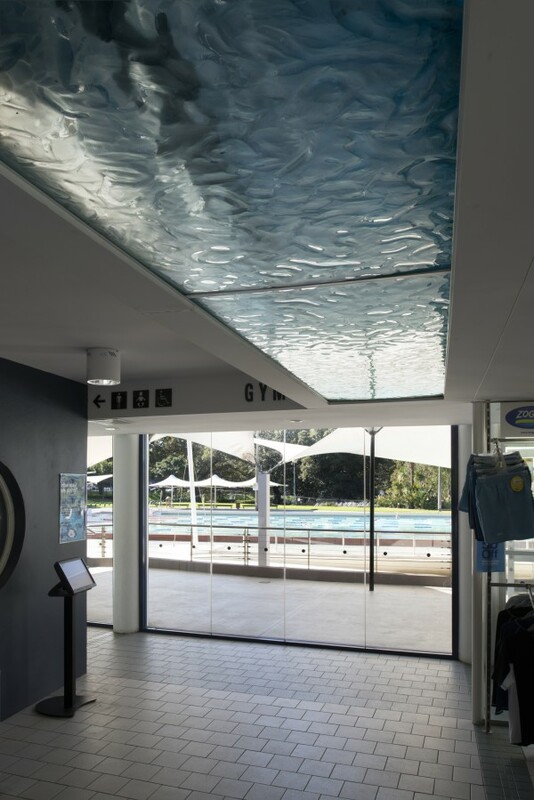 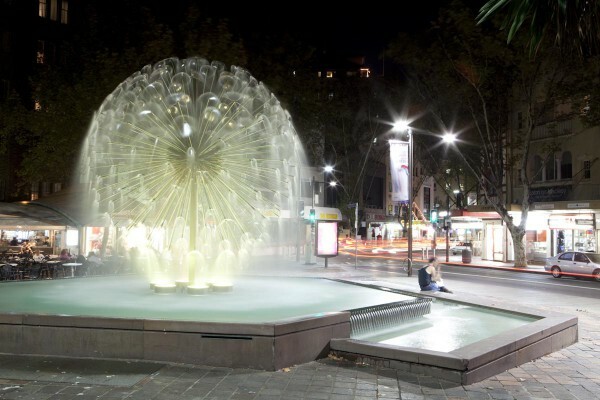 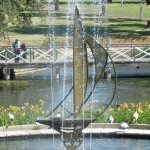 The fountain consists of a replica of a yacht made of tubular metal with Olympic rings on a tiled round base. 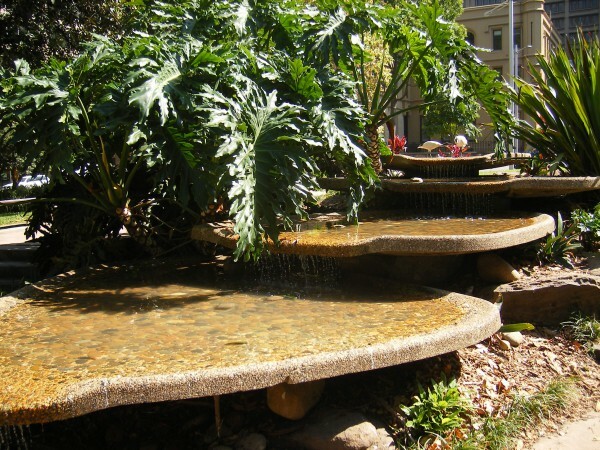 It is surrounded by spouts which shoot water upwards, between approximately two and four metres. 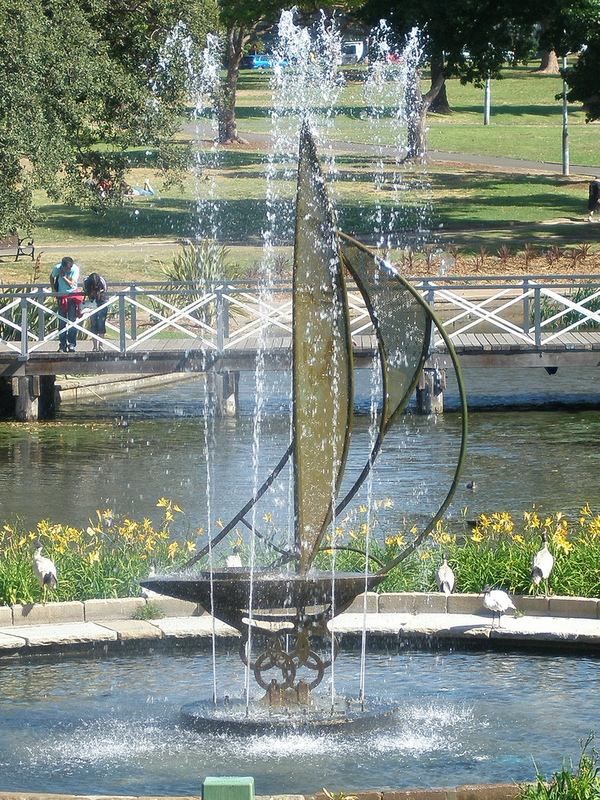 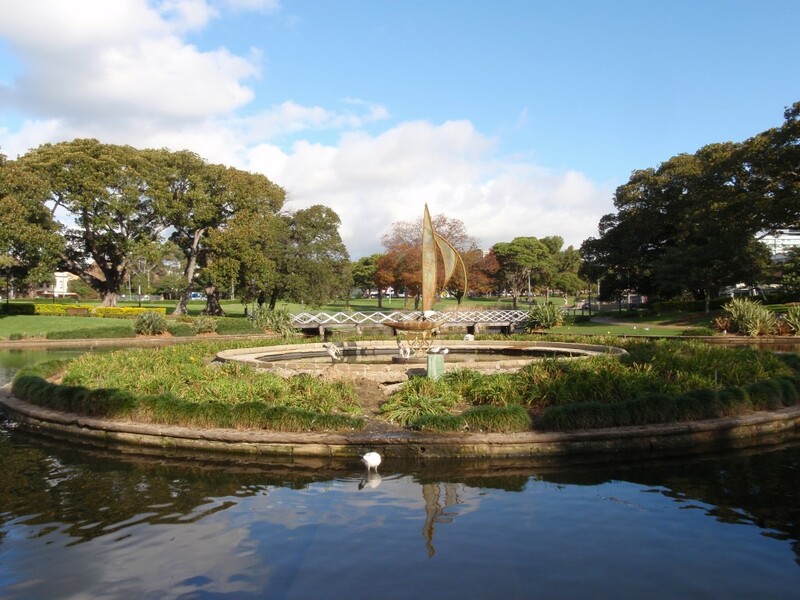 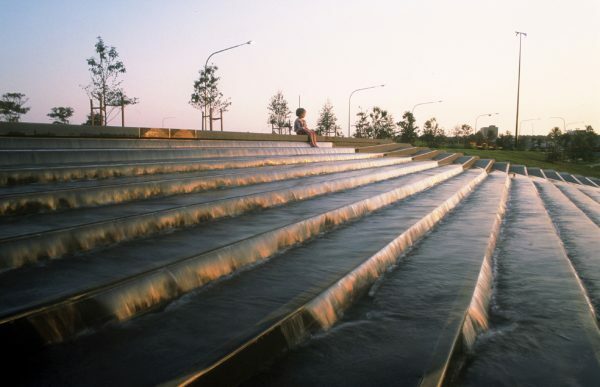 The fountain is located on a small island in the centre of Lake Northam in Victoria Park; the edges of the island are covered in small shrubs. 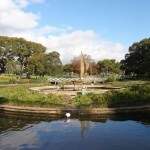 On the shore of the lake there is a bronze plaque set in a sandstone base.